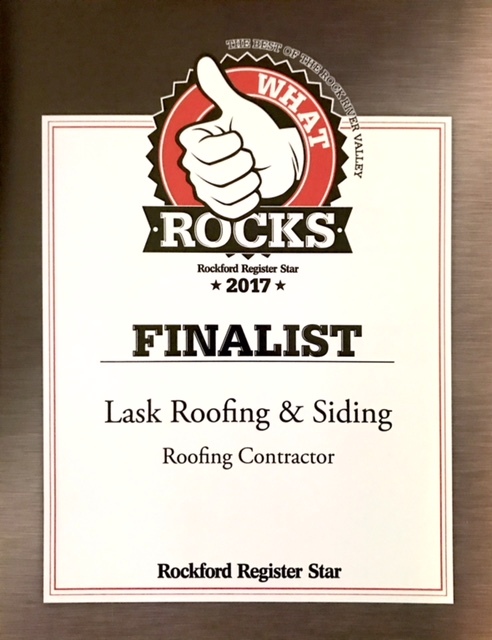 Since 1978, LASK Roofing & Siding, Inc. has been known for its superior service to residential customers in and around Rockford, IL. Our prompt, professional technicians who install and repair with only the highest quality materials have set us apart from other roofing companies. There is never a convenient time to have problems with your existing roof. However, if and when the need arises, homeowners appreciate knowing that a dependable roofing contractor is willing to come and take a look at the problem, give an estimate on the cost to fix the problem and truly try to help instead of recommending costly solutions that you do not need. Should you notice any of the following roofing issues, put us to the test and find out that we really are in the roofing business to help our customers. Missing or cracked shingles – Each and every shingle on your roof is important and has a job to do. Even one loose or missing shingle is capable of causing a chain reaction that can damage a large area of the roof. 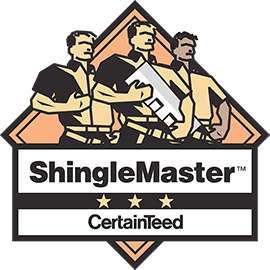 If you notice any shingles that are missing, or even cracked, we would be happy to come take a look. Homeowners can save a lot of time and money by making sure their shingles are in great shape. Loose gutters – If your gutters are coming loose from your home, it may be annoying to listen to them banging in the wind. However, it may be more disturbing to realize that loose gutters cannot possibly catch water from rain or snow effectively enough to prevent damage. Once again – the fix is often quite simple and can prevent expensive repairs down the road. Sagging shingles – Should you notice that your shingles are sagging, call us immediately. All too often, this is a sign that the plywood foundation of your roof has been exposed to the elements and has begun to rot. We will evaluate the roof and give you several different repair recommendations. Put our years of experience to the test by calling (815) 788-6699 or filling out our convenient online request form to schedule an appointment for a free estimate today.